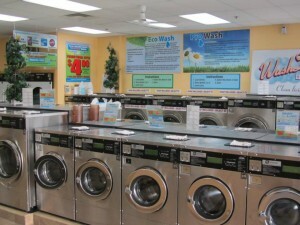 Conveniently located in the heart of Durham Region, in the historic downtown Whitby, WashDay Laundry Centre is positioned to be the premier clothing care provider in the Durham Region and surrounding areas. Whether it’s coin laundry, dry cleaning, or our convenient pickup or drop-off wash and fold laundry services – we have services to meet the needs of all types of individuals and families. 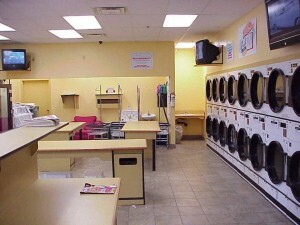 Our coin laundry boasts over 65 machines for maximum convenience, and a fully-attended, safe and clean facility to do your laundry in. We offer odour-free, gentle, and safe dry cleaning using Eco Spring Dry Cleaning, and operate our pickup and dropoff options when it comes to our premium wash and fold services. 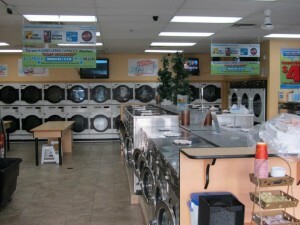 Experience the difference, and the convenience, of WashDay today! We look forward to serving you.